Matched betting is one of the most popular and effective ways to make money online. 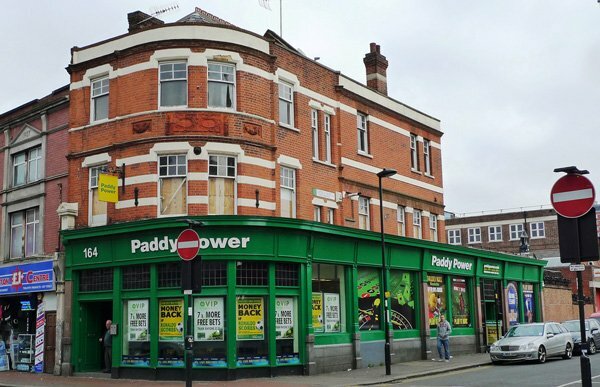 But can you do matched betting in traditional betting shops on the high-street? In this article, we’ll look at the feasibility of matched betting in shops, which bookmakers you can use and how much you can expect to make. If you already take part in matched betting, you probably know that this method is generally a way of making money online. There are significantly more free bets, offers and other promotions available online than there are in shops. However, there are still options when it comes to matched betting in shops and it’s a great way to increase your overall earnings each week. You’re probably wondering what on earth sharbing is. Some of you may already know what arbing is, but for those that don’t, it’s a process in which you take advantage of a difference in price between two or more betting companies. Sharbing differs to normal arbing in that it refers to placing matched bets in high-street betting stores as opposed to online. However, with more and more betting shops closing each year due to dwindling users and the ease of placing bets online, is sharbing in 2019 still a viable way to make money? Specifically, are there enough offers and other promotions to take advantage of? Despite the high-street bookmakers struggling to keep pace with the fast moving online betting industry, there are still plenty of offers to take advantage of. When you next walk past your local bookie, check out the banners they advertise in the windows. Most of these are promoting some kind of incentive to draw more people into the shop. Which bookmakers can you use? Obviously matched betting in shops is only available in bookmakers that have a high-street presence. Thankfully for those who live in the UK, there are plenty of bookmakers that you can use for sharbing. Ladbrokes and Coral will certainly be the most profitable bookmakers to start your matched betting in shops. Ladbrokes frequently give their customers offers and promotions to keep them betting in store just like they do for online customers. The same goes for Coral and the other betting shops on this list. 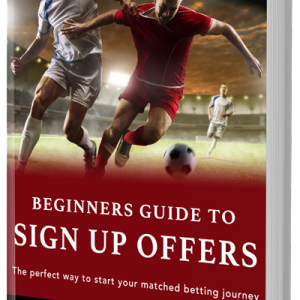 That list should get you started with matched betting in shops. There’s still something about betting in a shop that is very exciting. I’m not sure what it is, but whenever I go into a high-street betting shop and place a bet or two, it’s a more rewarding experience. This certainly makes matched betting in shops far more exciting, for me at least. Another benefit is that you are far less likely to get your account restricted or gubbed when placing bets in store. The bookmakers can’t keep tabs on every player who walks into a shop. One of the main benefits of betting in store are the football coupons bookmakers’ offer. These are prices that are generally printed the day before and are therefore out of date. Compared to the intense pace of the online betting industry and the amount the odds change in the run up to an event, betting shops move very slowly. There is obviously an opportunity to take advantage of the difference in price between the high-street bookmaker and the online odds. Sharbing in store is very similar to matched betting online. To make a guaranteed profit, you still need to place a back and lay bet to ensure the process is risk free. It’s important to place your bets in cash so there is less trace of you placing any bets in the shop. It’s also advisable to mix up the stores you visit. You don’t want to arouse any suspicion. The same goes for checking the lay odds at the betting exchange. It’s best not to do this secretly in the corner, as you’ll probably be kicked out of the shop. Instead you can leave the store to check the odds then come back in to fill out the betslip. One of the key things matched bettors will not be used to is the fractional odds the prices are displayed in. You’ll need to convert the odds to decimals to compare them to the lay odds at the betting exchange. There is an easy way to do this using sites such as www.oddsconverter.co.uk. If you’re not sure how much you should place at the betting exchange, our matched betting calculator will be able to help you with this. So now you know a little more about matched betting in shops, let’s look at how much you can expect to make from sharbing in 2019. As there are only limited numbers of high-street bookmakers, the overall matched betting earnings will be lower than what you can earn online. However, adding this to your existing matched betting strategy online will allow you to increase your earnings and give you that little bit more. From just the sharbing part of matched betting you can expect to make around £100 over a month. Add that to your existing potential profit of about £1000 with online matched betting and that’s a great second income. Who can take part in sharbing? Sharbing is for literally anyone over the age of 18 who wants to make a guaranteed profit from bookmakers offers. However, those with a bookmaker close by will typically find matched betting in shops much easier and more profitable. You won’t have to travel as far, meaning you waste less time and money. Overall sharbing is a great way to increase the amount of profit you can make from your betting strategy. Whilst the earnings will vary depending on how much you can stake, there will always be some profit to be made.